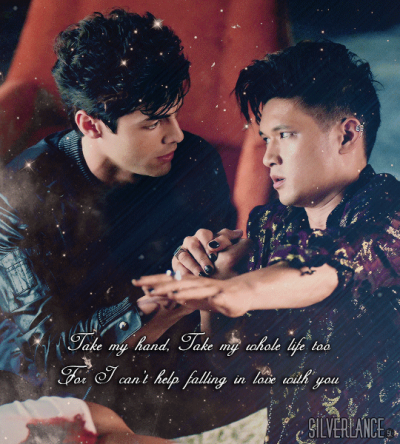 Malec - peminat Art. . Wallpaper and background images in the Alec & Magnus club tagged: photo shadowhunters 1x06 malec edit. 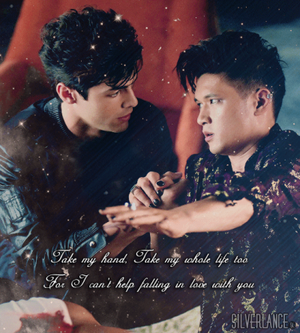 This Alec & Magnus fan art might contain tanda, poster, teks, papan hitam, and chalkboard.